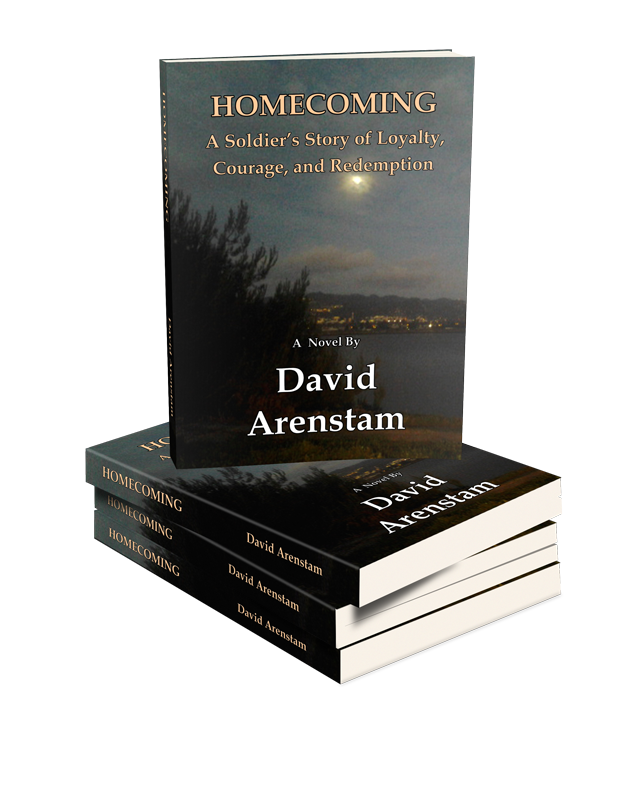 Homecoming: A Soldier’s Story of Loyalty, Courage, and Redemption, a new historical novel from David Arenstam, is based on actual events and years of research and interviews. But in the manner of Michener and Doctorow, Arenstam brings the reader into the all too human side of two soldiers connected by circumstance and war. For two American aviators assigned to the Aerial Rocket Artillery in Vietnam, the odds for survival, the margin between life and death, is often as thin or mysterious as the dismal, gray mist that routinely lingers over the jungle treetops surrounding their makeshift airbases. During the early hours of February 4, 1968, as the Tet Offensive thunders around him, Russell Warriner, a lanky 19-year-old Huey crew chief from the foothills of the Berkshires watches as the men he routinely flies with leave in an effort to help a group of young marines. The crew was ordered to fly a ground support mission, to fire the rockets that hung from the side of their Huey and create an escape route for 20 American soldiers trapped on a hillside. He was to stay behind and finish an inspection on the aircraft they normally flew. With his aircraft in pieces and his buddies in the air, the emergency horns on the base blare overhead as Warriner learns that his friends and their Huey are missing. After flying search missions for nearly 36 hours, his unit locates the battered and burned fuselage. There are three American bodies near the wreckage, but Bobby Connelly, the co-pilot, is not among the dead. Connelly, a boy from California barely out of his teens, is a natural pilot and for as long as he can remember, he’s wondered about the joys and mysteries of flight. As an Army Warrant Officer and helicopter pilot, he is given the gift of charging headlong into the night sky. For these two men, a single mission, a routine call for help, will forever link their spirits. For one, the mysterious strength of that spirit, an almost transcendent will to survive, somehow goes back generations to a time before technology and industry. This inner strength will help one of the soldiers live to see another day. But will it be enough to bring them both home?